David our practice principle has over 30 years experience in orthodontics. We offer both children and adults private orthodontics at competitive prices as well as NHS orthodontics to cases (under 18s only) that meet the current criteria for NHS services. Please note these services are subject to change as the criteria change regularly. 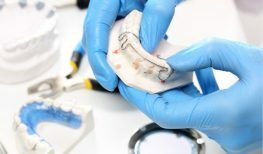 Orthodontics involves applying pressure to teeth so that they can be straightened/realigned via brackets and or specialist appliances; it delivers primarily an improved appearance although function can also be improved. Treatment typically lasts from 8 -30 months and we always aim to leave our clients with lasting, natural results. Cases are assessed and priced individually depending on the complexity of the case. Please contact reception to book an assessment.